My daughter Katiya had gone to The Little School for 3 years and she LOVED it. She came home everyday and shared something new that she had learned. She had grown & matured so much within days, weeks, and months from the experience that, that school has taught her, it was AMAZING!!!! Maria and the staff have showed so much love to my daughter, they were like our extended family. I also loved the anatomy project. All the holidays that they taught the children was superb. I had tears in my eyes at every play. I also loved movie nights as did she. I have recommended this school to anyone who asks me about pre-school. Love It!!!!!!!!!!!! My three children have all been students at The Little School and are so well prepared for elementary school that it almost seems as if they were home-schooled. In fact, Maria, the director, and the extraordinary teachers treat every single student with love and personalized attention which fortifies their strengths and gently addresses the needs of every child in each area where he or she requires a little extra help. Each teacher is carefully selected and trained by Maria. They all bring the same passion and love for children and their education that she embodies. 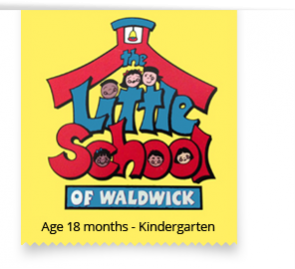 As a physician who places great value on attention to detail, I can truly say that The Little School of Waldwick has given my children the perfect environment to learn and grow. I recommend it without reservation.